There are two types of people: dog lovers and cat lovers. I am definitely the cat lover. I have a very cute cat called Manny. A few years ago she had a very bad allergy. She was scratching herself violently and her whole body was covered with tiny cuts. She looked ragged and tortured. She was obviously suffering a lot. I was very worried about her and as a veterinarian I knew that the only way to alleviate her suffering was to give her strong hormonal drugs. But I also knew that this treatment has several bad side effects. I desperately needed an alternative solution. Then I started to search in internet for some innovative solution, and then I bumped into raw feeders who suggested to use raw food as a remedy to alleviate the allergy. And I did so. After couple of weeks, I noticed a big change in Manny’s well-being. At first I noticed that she had lost some weight (she was overweight before), her fur was getting shiner and she was scratching herself less and less. She lost weight without restricting the amount of food she was taking in. Now my cat is completely healthy and thriving. As an experienced veterinarian I can say that even though I tried special dry food against allergies, they didn’t help at all, but when I gave her raw food, then she was healed very quickly. I am convinced that ordinary dry food is unhealthy. It’s over processed and there are too much carbs and too little animal proteins and water. In addition to allergy and overweight, dry food can be one of the causes for bladder inflammation, renal failure, dental caries etc. 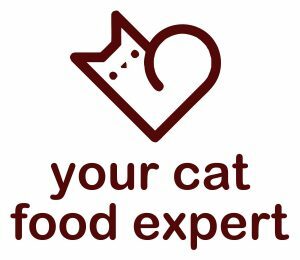 According to recent scientific studies the cats who eat only dry food during their lifetime live three years less than cats who eat natural food. The cats are by nature are meat eaters and the perfect food for them is either mice or birds. Raw food must be based on full prey model. It means that it must contain bones, liver, heart etc. It is disheartening to witness that the most of the cat owners don’t know about it and their pets have therefore hidden sufferings. It’s a wide-spread truth that prevention is better than cure. A proper feeding is the cornerstone of welfare! That’s why I decided to create a raw pet food company.